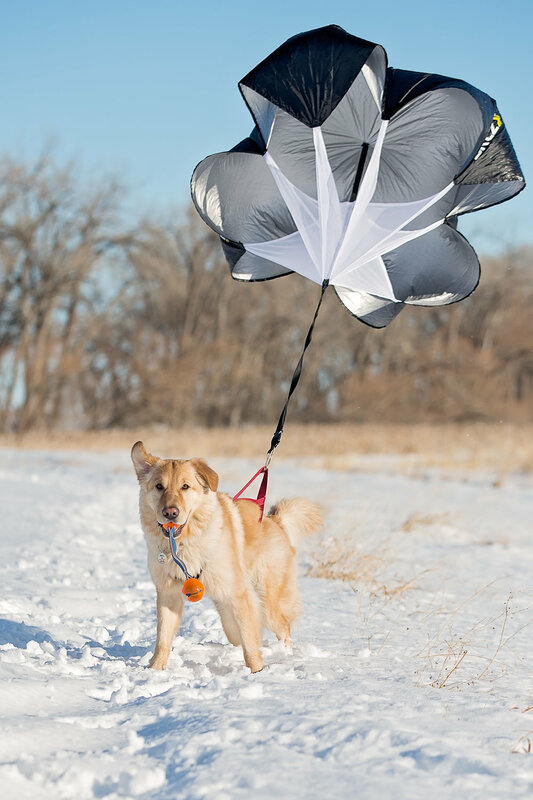 A friend got a parachute for her dog and all I could think was "great idea!". So of course, I went and got one for Summit. He struggles with pushing through the resistance when scootering so I'm hoping this will help. I'm also hoping it will help with strengthening even when he isn't doing any pulling sports. The first day we took it out, it was SUPER windy and it was a challenge just for him to stand still. Oops. But we tried again yesterday and it was much better. He needs to be running, not just trotting for it to work though, so fetch is a necessity. I had envisioned him trotting down the trail with the chute out behind him but that definitely won't work.